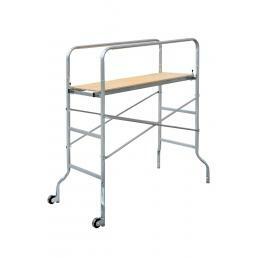 Those who work in the building sector know: choosing a scaffolding is not a simple operation. 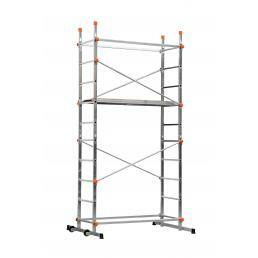 It is necessary to consider various aspects of the work in order to understand which mobile scaffolding is the most suitable for one's needs, as well as to carefully check that it complies with the legislative standards of safety at work. Mister Worker™ offers only the best boats, which pass strict safety tests. When you first enter the world of scaffolding and mobile towers, a question arises: how to choose a scaffold? Several variables must be considered: the height to be reached, the duration and type of work to be carried out, the environment in which the work is to be carried out... but above all we must always check that the scaffolding to be purchased complies with the legislative decree 81/08 on safety, like all those in the Mister Worker™ ® catalog. There are several models of aluminum scaffolding, all equipped with rapid assembly thanks to the expansion coupling system at the end of each tie rod. One of the top models in our catalog is the Clip Rapido Paspartù, because it can be used in four different ways: as a scaffold, as a double staircase or as a work platform. 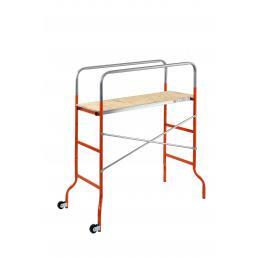 It is a mobile scaffolding equipped with clamping and locking articulations in the center of the uprights, to allow you to change work configuration quickly. The floor with trapdoor is Eurodeck wood, supported by a shaped aluminum structure that guarantees maximum stability during use. As an alternative, there are cheaper scaffolding models that are ideal for maintenance work on your home, but they are also excellent for professionals who need to reach heights of up to 4 meters. These models are made of galvanized steel and have a very stable structure thanks to the four steel rods, while the wheels allow them to be moved easily and to fix them perfectly to the ground. Among the features to keep well in mind when you need to choose a mobile tower to buy, in addition to the height and stability, there is also the space occupied by closed: if you do not have much space, it is always better to choose a scaffold compact. It should also be kept in mind the capacity of the platforms that, in addition to having to be strictly anti-slip, must ensure stability even when carrying electric tools with different weights. 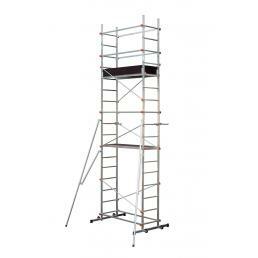 In the catalog of Mister Worker™ there are various models of scaffolding, designed for both individuals and professionals, to allow everyone to do their job better.